Hello to volunteers planning to come to the Farm Project! The project is an upcoming organic farm, a creative platform for learning by experience, a center for ecological awareness, and a space for cherishing Mother Earth. It is an attempt to demonstrate sustainable living in practice, to develop a way of growing food with a combination of ecological understanding and indigenous knowledge, and to bring people together for an exchange of ideas and practices that ensure sustainability and well-being. We believe in a holistic mode of learning that promotes understanding and cherishing our place as a part of the greater Earth Community of soil, water, air, plants, animals, forests, and all life forms and peoples. We love to see new smiling faces at the farm and everyone interested in farming, living off-grid and community based is more than welcome here. We thank you for your cooperation in helping us make the farm the lovely place that it is. The contribution given by volunteer is 5$ per night. Minimum Stay 14 nights. Daily visitors or group tour will be charged per decision of Farm Steward by day of interesting, contribution depends about reason of coming. 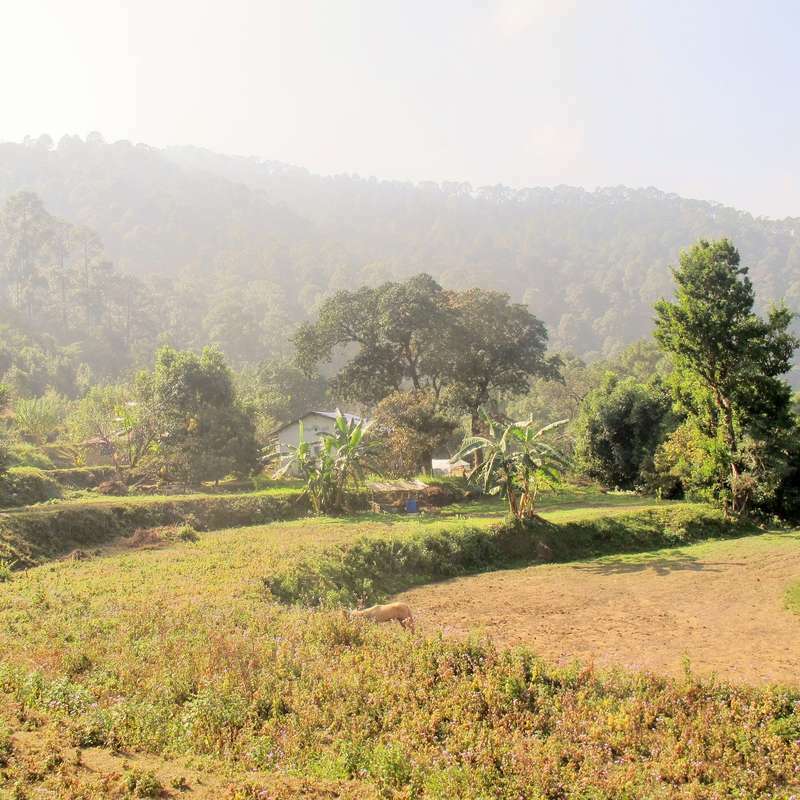 LOCATION: The farm is about four kilometers away from the nearest road head in Dogaon, a small settlement with a few roadside shops and tea-stalls, located on the Haldwani-Nainital road. Our nearest rail head is Kathgodam and Haldwani is our nearest city, 15 km away. With love & hugs from all of us, hope to see you here soon! To gain and experience different type of religion in one country. Me (Pankaj) and Vlatka joined the farm at November 2017 till now as Long Time Volunteer. And we are giving our best to this place to create a small heaven here. And to make it happen we need volunteers. Looking forward to meet you wonderful souls soon. Urgently we need people with good will and hard work to make wooden fencing for our vegetable garden. Our farm is in between jungle and surrounded by deer. Every night they have party in our gardens. We do not want to hurt them but on the other hand we have to be sustainable also. Announcement: Farm needs a Carpenter to fix our kitchen and we want to learn muddying. Volunteers with this skills are required ASAP. Volunteer having knowledge and experience of Crowd Funding will be a great support as recently we had started a campaign to raise funds for farm, so that we can be self sustainable. Each volunteer is welcome to choose work that suits their skills and interests as long as the work is of benefit to the farm.Farm steward will decide which work is priority on farm that moment. Farm related chores include weeding, planting, taking care of plants, preparing compost, watering, spreading compost, mulching, trench digging for water management,digging, making small gardens with healing herbs,collecting wood and pine cone and much more! We also have a lot of tasks around the living area that can be done. We are taking care of fire protection around farm like making fire lines and collecting pine cones. We work hard but the work comes from our hearts and enjoy the effort. We would like every volunteer bring a plant or seeds as their blueprint on farm for long time. so volunteers can experience that type of cooking, especially Indian food and at the same time to be creative. We would like volunteers have practice speak with tress and plants, or they can learn this here on farm. Volunteers should follow daily tasks as cooking, cleaning, taking care of there room, kitchen, hall and most importantly toilet after them. 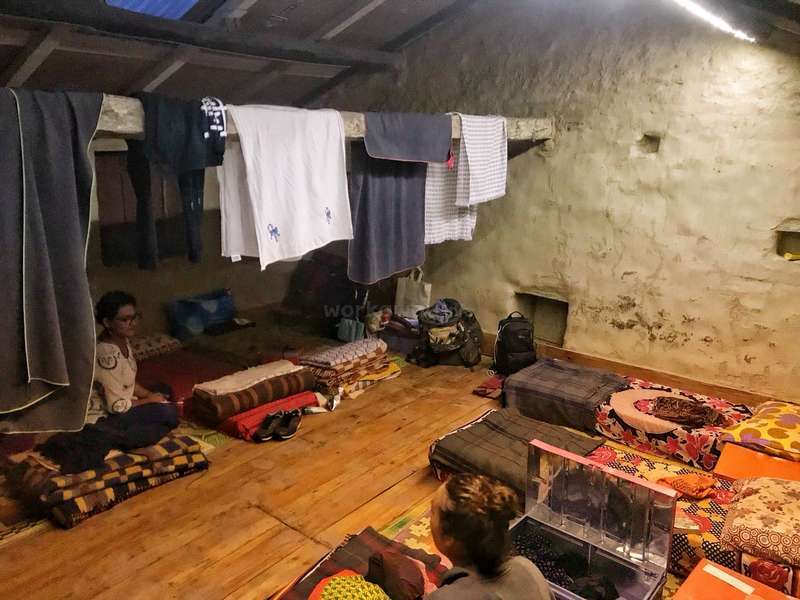 The accommodation consists of a 100 year old traditional farm house which now has new floors and roofing - it is fairly basic, consisting of two dorms where we sleep on mattresses on the floor. Additionally we have one common room and a kitchen. 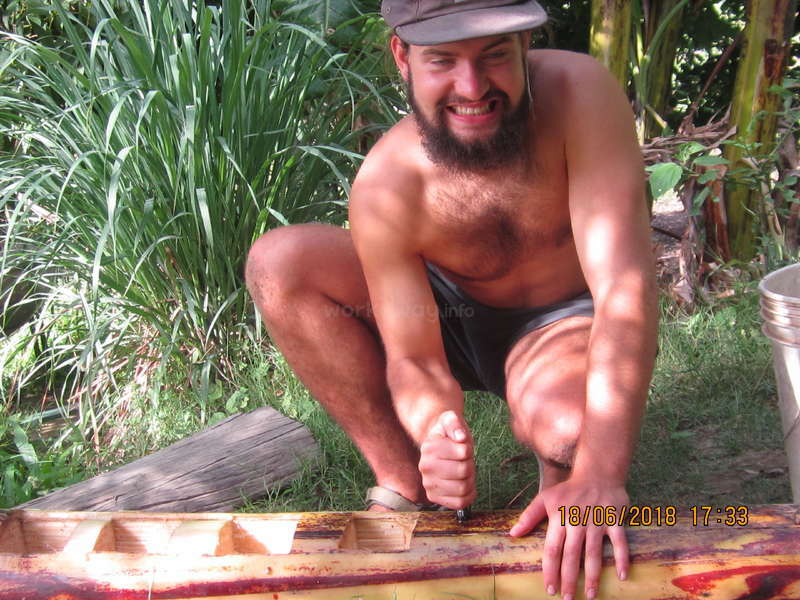 We are particularly keen on long term volunteers who have experience of working on a farm/ permaculture or low impact building or have carpentry experience and alternative sustainable technology knowledge. In free time volunteers read books in our library, do spiritual own or group practice,meditation, yoga, massage, energy healing and just be in nature to use forest healing and enjoining. Playing music and instruments most welcome. 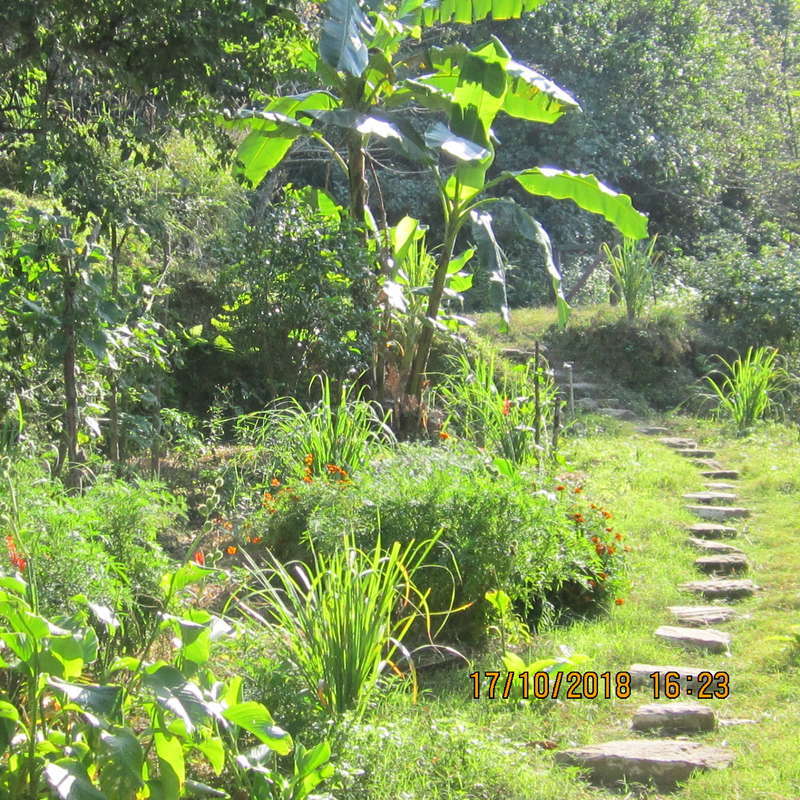 Also we do trekking around farm, to small and big waterfall and water pool. 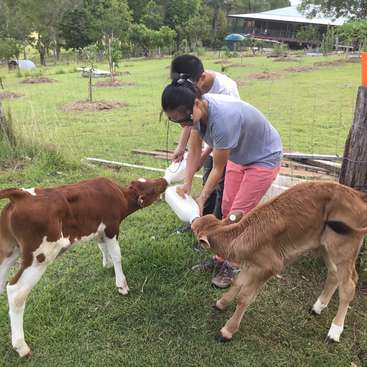 We prefer volunteer use their free time on farm or around farm. Also in free time, we are offering small workshops of energy awareness, healing, information's and practical knowledge from school of transnational psychology by Joshua Stone" I Am University" and early morning yoga practice. Contribution for this type of workshop will based on free will donation. An interest in farming and willingness to work in a community with cheer is more than enough for us to welcome you with open arms. Our philosophy is to spread love, love and love and share the bounties from the garden / farm with one and all. Happy plants, healthy food, healthy and fun filled volunteers. Couldn’t have asked for a better first workaway in India. Hosts were very welcoming and kind , and became my teachers , mentors and really family. They gave me a great introduction to sustainable living and permaculture projects. I had little to no experience in this work but they found innovative ways to give me volunteering experience that would… read more reach me the basics well. It was a wonderful learning experience and also a great retreat. Volunteering hours were very reasonable and we had ample of our own free time to explore surrounding places and do our own things. Place itself is incredibly beautiful tucked in between mountains and full of green plants, trees and flowers . Extremely peaceful and serene. Volunteer management was very organized with clear task assignment and vision for the day. They had a beautiful room for volunteers . Also a library , a resting place under trees with hammocks , lovely gardens and well kept farms ,very clean restrooms and showers. Every day we were served very healthy and delicious meals along with regular tea and coffee time . 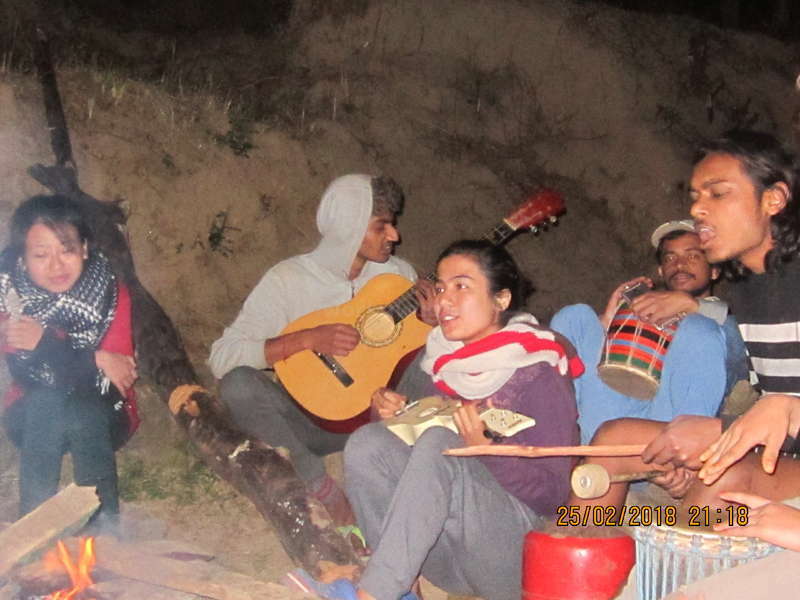 It was a heartfelt experience coming together as a community , cooking and sharing meals , chatting over tea, going to forest together for farm work , working in farm with other volunteers; just building together a beautiful experience for all . Also we had chance to interact with locals and hear their stories and learn the culture. Carried back with me lot of great memories, and learning lessons and motivation to pursue this lifestyle of living in nature and being self sufficient. Already miss the team heavily which also included the most wonderful Rocky the pup and 2 little kittens . Sweetest workaway ! Thank you Andrea for sharing your experience of staying in our farm. Having you in farm was a pleasure. We have to say you are one of the most hard working volunteer we ever had in almost 2 years. Everything you started you finished till the end. There is no NO in your attitude. Very positive, very kind. We were lucky to had you in our farm. For… read more host we will highly recommended Andrea. Best of luck for your farm. Wish to see you soon again. Lots of love Pankaj, Vlatka and the Farm Project. 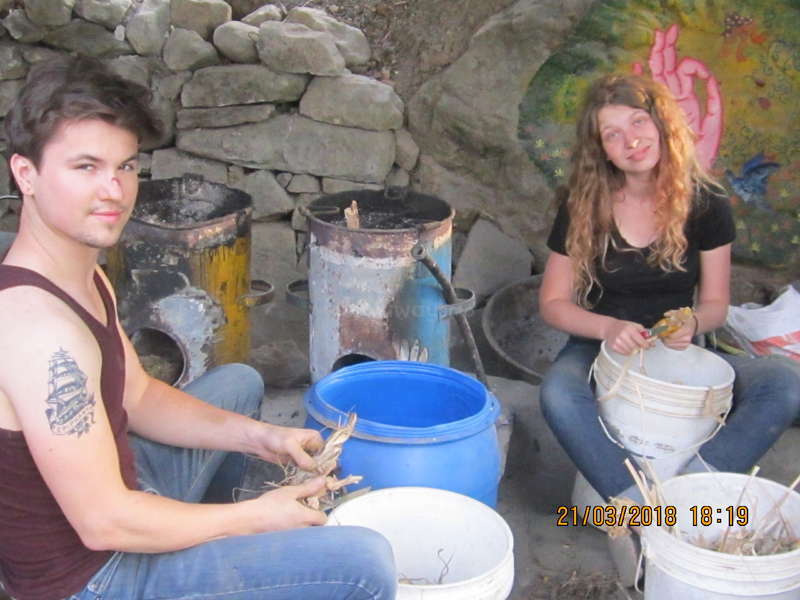 The farm and the project has been there for quite some time but this amazing couple, Pankaj and Vlatka that are running it now for just over a year are doing a great job, especially considering the status of the farm when they first arrived there. Though not yet fully sufficient, their vision for the farm and with how hard they work for it, I know… read more they will succeed, especially if they'll get more help. 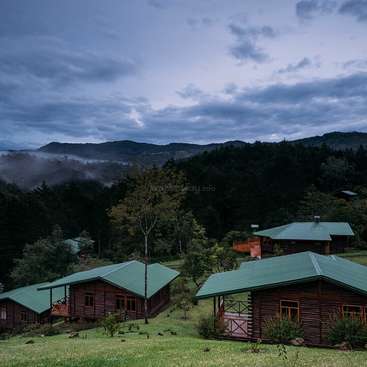 It's a perfect place either for someone who wants to get away from the city and relax in nature or for someone who wants to learn permaculture in practice and experience the hardwork it takes but also the rewards it will give. I initially planned to stay just two weeks but ended up staying for a month coz I enjoyed working in the farm, sharing moments with the people and pets and living in this perfect natural space. I will surely remember my stay there with joy and fondness. Hello Robbie. Thank you for sharing your experience. Having you in farm was a great time. You helped in every way possible and gave your best. Best of luck for your farm. Had an amazing time up here in the mountains and a much needed break from the busy Indian cities. Would very much recommend anyone to take some time up here and help out with creating an amazing self sustaining home! Thank you Nana for sharing your experience. We had a awesome time with you in farm. You helped in every single way. Special thanks for transporting applies from main road to farm through the trek of 4km. Your chai was not so bad actually, only a bit less sugar was there. Hope to see you in farm again, but for longer time. Lots of love Pankaj and… read more Vlatka. Thank you Japhet and Lottie for sharing your experience. First of all thanks a lot for accepting our invitation for such a short period of time. Having both of you was a pleasure. Thank you Japhet for doing most of the fencing work, making bread and guava Jam. Lottie we already missing the food how you cook. It was so yummy. Wish to see you in… read more farm again soon for longer time period next time. Lots of love Pankaj, Vlatka and Farm Project. Thank you Roser for sharing your experience. Having you in farm for 2 weeks was wonderful time. Your positive vibes makes everybody feel happy. We miss your special way of cooking. Hope to see you in farm again. Really nice project to colaborate! 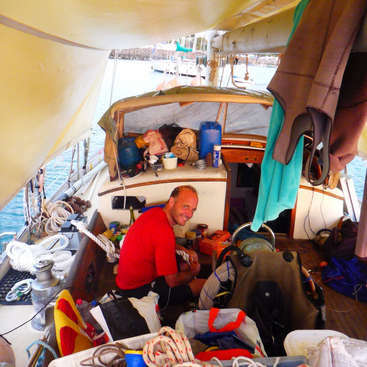 We have been there for two weeks, sharing with Pankaj and Vladka and other volunteers. Has been a nice experience working in the farm, and also, we had the opportunity to join a course of permaculture that they were doing. Thank you so much Iva for sharing your experience. Having you in farm was a wonderful experience. Your attitude of never say no to work is awesome, whether its cooking, working in fields, collecting seeds, painting etc. As a volunteer you are a perfect one. Hope to see you again in farm. I have spent one amazing month here! The location is beautiful, 1.5h hike from the nearest village right in the jungle. There are monkeys around as well as leopard (I never met one face to face!) , deer, variety of birds and other wild animals. The has different trees, plants and herbs like banana, guavas, cinnamon as well as lemon grass, ginger,… read more mint, basil, lemon balm and many others. No day was the same as the previous one in terms of my daily duties. 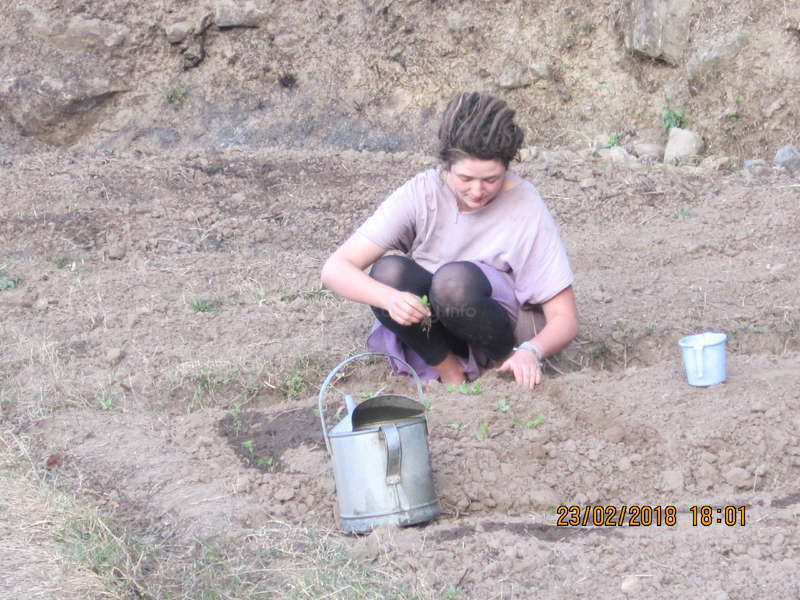 I enjoyed very much working in the garden - clearing up fields, planting seeds, watering. I also very much liked cooking and preparing meals on the fire. 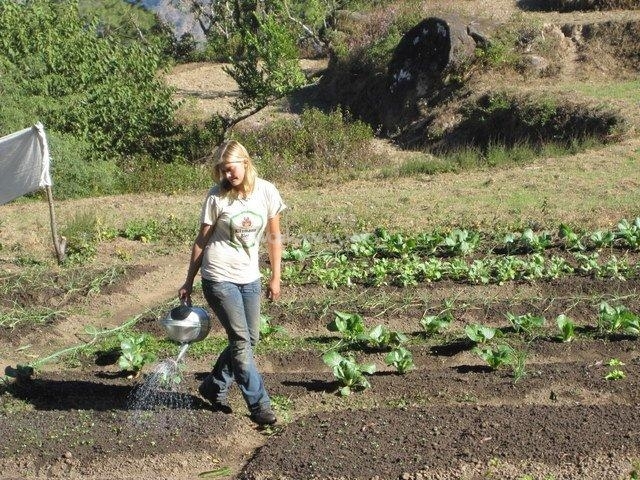 While I was there I had the chance ti participate in a short Permaculture basics course which was amazing opportunity and I have learned a lot. It was nice time spent there, almost three weeks. The farm is very calm place where a man can work and rest at one time. We learned a lot about lifestyle at himalayan farms and the nature there. There is still a lot to be done so we wish you Vlatka and Pankaj good luck with this project. A very special place. The farm is in the nature, offgrid and just peaceful. The work exchange was mostly about cleaning fields, preparing new beds, planting, watering, getting firewood from jungle and helping cooking. 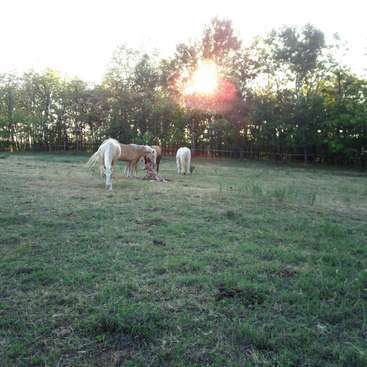 I learned a… read more lot, the farm is in a new beginning but you can see that the hard work has paid off already. All in all i had really pleasent 20 days on the farm where i learned a lot. I want to thank you all, Vlatka, Pankaj and Mohan. Seeing people who pursuit for independence and freedom makes me truly happy, thank you. Hi Patrick, greetings from Himalayan Farm Family. Having you in farm for one month was absolute pleasure. Your positive energy makes the environment so good. Your attitude of never say no is fantastic which help other people also who are next to you. Thanks for all the work done by you in our farm and making it more beautiful. And yes we miss… read more your early morning tea. 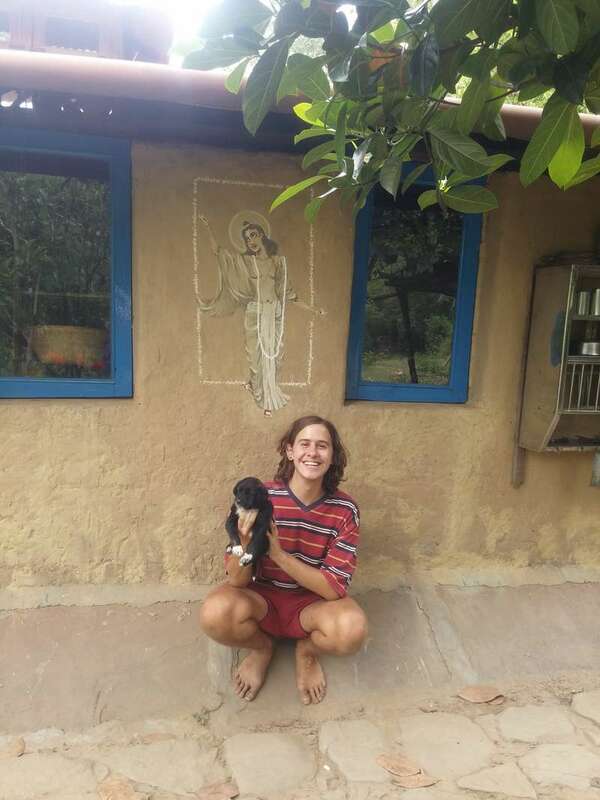 Staying at this project for a month was an absolute pleasure of a peace seeking traveler, Vladka and Pankaj shared the atmosphere of this farm with genorisity and invited me into the help and work full of heartfull guidances. Waking up onto this happy grounding everyday, brewing chai throughout the day and cooking delicious meals with the… read more abundance of creativity poured into it was just simply epic! Alongside being of the fields soaking in the sun and smelling the sweet smell of pine trees, truly Himalayan farm feel. Was awesome to volunteer and work for a such love of sustainable, organic living. Such insight into permaculture was given and learnt incredible amounts of farming from discussions and chats that were insanely interesting! So many things always happening and seeing this place grow everyday is truly inspiring. To the family of growing animals and Vladka, Pankaj and Mohan - Thankyou, keep the amazing energy that you put into this space. It’s all worthwhile! Thank you Vladka, Pankaj and Mohan for having me at Himilayan Farm Project. I had such a good time. This is an upcoming farm so you will learn about starting a farm and living together and sharing and being with nature and cooking and budgeting your ingredients since you're off grid. It is way up off the road, be prepared :D but it's so nice to… read more be just on the farm. I had a discussion with Vladka and Pankaj during my stay there also about my expectations which they helped me with beautifully. You have freedom and free time also, there is a very nice library and we went on a couple of treks too and there's games and beautiful scenery to sit and enjoy. Vladka is very knowledgeable and aware about our energy/enteric being and shares this so kindly. Wow! The farm was a home, a delight, and a deeply nourishing place to spend a few short weeks. Though I was only there a short time--more than a year ago--the experiences I had and lessons I learned there are still strong in my mind. A place where hearts are open, free self expression is rewarded, and hands are dirty with the sweet rich himalayan… read more earth. We worked hard for something we believed in. We spoke to encourage and support each other, to make each other laugh, to challenge each other to reach our full potential. The farm was expanding quickly when I was there--I wonder what it's like now. Surely though it has not lost its essence--a place of learning, nature, and joy. Thank you and all those who I met there! It was really wonderful to have Nicolas around the farm for around 3 weeks. He fell into community life really quickly and were kind, polite, enthusiastic, upbeat and extremely willing to learn. We wish him well in his travels and hope to have him back real soon. Namaskaar. We hope you are good wherever you are. Selma is a very wonderful person both in heart and soul.She has been an asset to the Farm. She is always smiling and really really volunteer for any work. Cooking is her specialty. We all miss her every day and looking forward to join us soon in the near future. Selma, we wish you all… read more the best and please remember the Farm belongs to you wherever you are. I personally miss your charming smile with Namaskaar & welcome to the Himalayan Farm. made tremendous contribution. They fave some original ideas. They are an asset and I recommend them without any reservation to any one. James & Anil, The Farm now belongs to you. You are always a part of it. Joshua is very very hard working and lovable person. He stayed for over 5 weeks. He is methodical in planning and execution. He can undertake any task without ant reservation. He was loved by all. Josh you are an asset. This Farm now belongs to you, where ever you are in this global village. you find us amazing because you are an amazing guy. God bless you. Yugo has been a very very productive and hard working volunteer. He will be an asset to any organization. We miss him a lot. He is unassuming and has some really original beautiful ideas. Yugo, please do remember that the Farm now belongs to you, wherever you are in this… read more global village. Hey Yugo your wife and you are most welcome in 2013. We hope she liked the contents of the parcel, we posted to her after your departure. Love and hugs all the way. our dear volunteer. You have been an excellent volunteer partcipating in every activity. Juin is a lovable person and we had some really good time with him. Juin the Farm Project belongs to you, wherever you are and you are always welcome. You will always have a warm place reserved for you. Love and hugs from Himalayan Farmer and team. And eat what you grow creates such a beautiful feeling.. I'll be back soon guys! I have no words to express my thanks for your immense and unmeasurable contribution to the farm. There is no work, however difficult, which two of you can not do. Richa ( my daughter) says she would like her daughter Juneili to become like you and I feel there can be no better way to measure your efforts and work at… read more the Farm. Please keep in touch and send more volunteers like you !! Please send links to photos you have taken and also write a blog for The Farm in Danish and English too. it was great to have you. Both of you were an asset and contributed immensely. As said at the time of your departure, the Farm now belongs to you - it is your Farm and please take care of it. Kum Kum and Richa too remember and thank you. We all pray for all the best in your life and may your dreams be fulfilled. love and hugs all the way from Himalayan Farmer. Both of you have been a great asset . You brought and gave so much positive energy, throughout your stay. You contributed immensely and this Farm now belongs to you, wherever you are in this globe . You are always welcome to the Farm. I personally miss you both a lot. It is… read more monsoon here and farm is in various shades of green, with sprouting corn, beans, ginger and turmeric. Interestingly we had two more excellent volunteers from Denmark, Tora and Katja; both girls contributed immensely, when we had a month long workshop to restore the dilapidated room into the best room now. please see photos on face book. Oliver Lamb from Macaulay Honors at CUNY, Brooklyn came to The Farm, on December 30, 2011 and stayed with us till Jan 24, 2012. Oliver, we find you a some what rebellious young man ( admiration ) with a very sustainable vision for the humanity and the Planet Earth. From the time of his arrival to the time of departure his contribution to The… read more Farm and community has been immense. 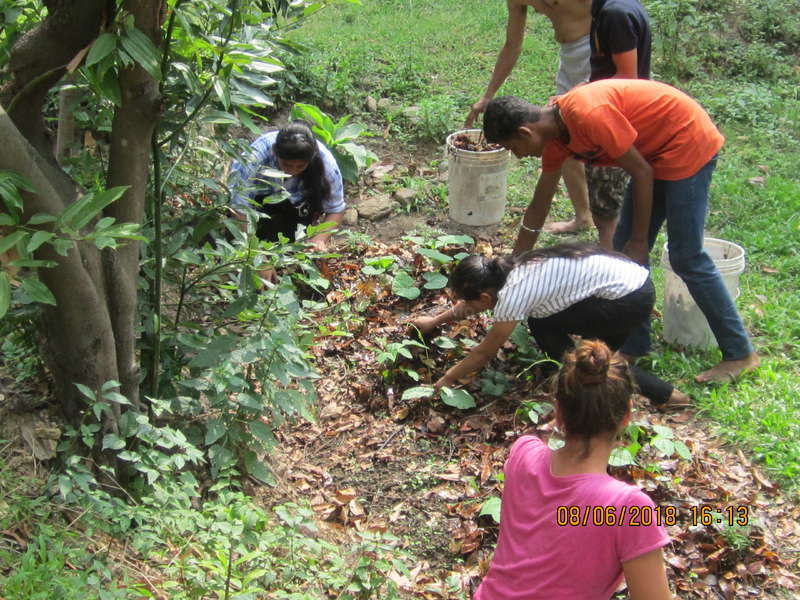 It was your first experience to work in an organic farm with very basic facilities. Not only you coming from US, accepted the situation on ground, but made best use of it. Olivers contribution to the farm has been immeasurable. He was keenly interested in learning and helped us in clearing bushes, tilling the soil, mixing / making compost, sowing seeds, trans planting seedlings, irrigating the garden, harvesting greens, besides whole heartedly helping in constructing the mud-hut kitchen, learning to chopping vegetables, cooking food, making Indian sweet Ladoos, and participating in all community chores without any reservations. Hey Oliver, the farm now belongs to you. We hope to see you some day in future back in The Farm. Your Mother Cynthia's remarks that "I know some day soon my son will be back in The Farm" speak a volume about you. Kum Kum , Chandan and other 8 volunteers do miss you and join me in conveying our best wishes for your bright future ahead. When I left New York City, I felt near total madness, navigating my urban reality and trying to figure out a way to work towards a worthwhile endeavor and escape some of the vices and unhealthy behaviors permeating the American Way of Life. I was fortunate enough to find my way to the Farm in India. The experience I have had here has been amazing,… read more shocking my sensibilities with positive energy. I have always wanted to learn about farming and permaculture, especially in light of the prolific information about the deleterious effects of fast food and industrial agribusiness. The guru of the farm, Hari , is an extremely kind and informative teacher. As we labored to till the land and plant new crops, he was quick to illuminate the best agricultural methods and the reasons for those methods. However, he is very humble. Any idea you have to offer he patiently considers, and the group on the farm ruminates over new agronomic possibilities together on a daily basis, usually in front of a campfire. In fact, new ways to improve the project spring forth faster than we are able to undertake them. And the farm is still in a fledgling stage of development, and needs as much help and support as possible. By the end of the Indian Monsoon season, we all hope that the infrastructure of the farm will be solid enough to begin bringing children from the nearby schools in Bhimtal and Nanital up to learn about organic farming. But in order to initiate those field trips, the project needs to finish the new kitchen construction project. Any carpenters or masons who could help build the brick and mud stove would be wholeheartedly welcome and needed. I had an opportunity to learn much from the project. I'm sad that I have to leave, as there is a great wealth of knowledge available at the farm. Interacting with the locals, one is able to start picking up the Hindi language, which Hari and his wife Kum Kum patiently help each volunteer practice. Additionally, both Hari and Kum Kum are amazing cooks, and showcase their skills openly for all the volunteers to learn from. And as well as learning about sustainable agriculture, there are many artisanal learning experiences available at the farm. For example, Hari is currently working on establishing a silkworm farm, which will mean that the volunteers will be able to cultivate silk and potentially craft silk garments. 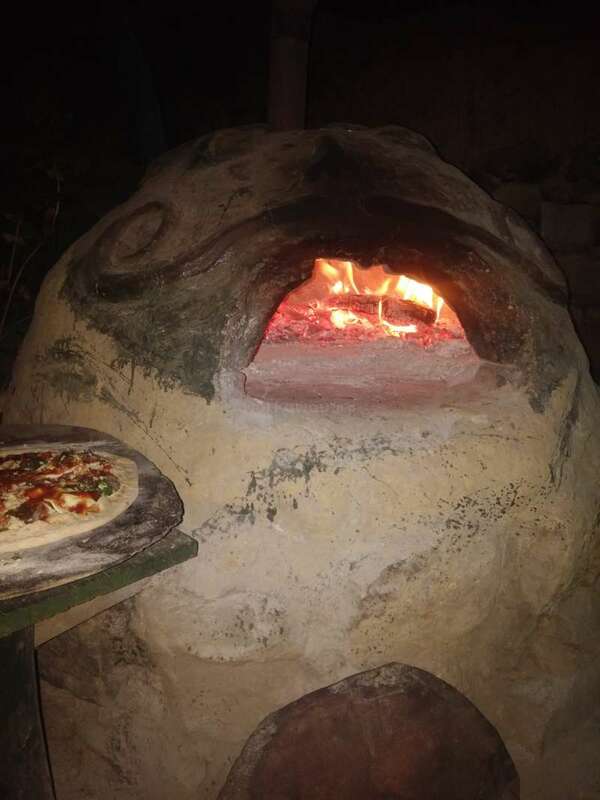 Other projects are on the table as well, such as establishing a home brewery, learning to preserve food such as jam and pickles, and developing homeopathic elixirs and salves from the flora that surrounds the homestead. 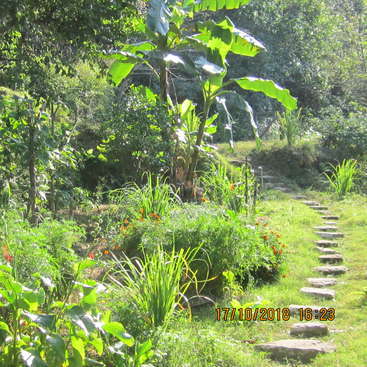 Included in the ecological lessons and pursuits at the Himalayan farm is the development of alternative energy. There are plans to construct a hydraulic system in the channel near the farm, which will eventually allow the volunteers to harvest electric energy. Additionally, plans to establish solar panels and small wind turbines are discussed as the project moves forward. Discovering the ways energy can be harnessed from the natural world in a fashion that does not harm the landscape is entwined in the pursuit of cultivating healthy food. And the final learning experience I will add to the list (trust me, there are many more, and the volunteers themselves bring plenty of useful skills, which they kindly share. 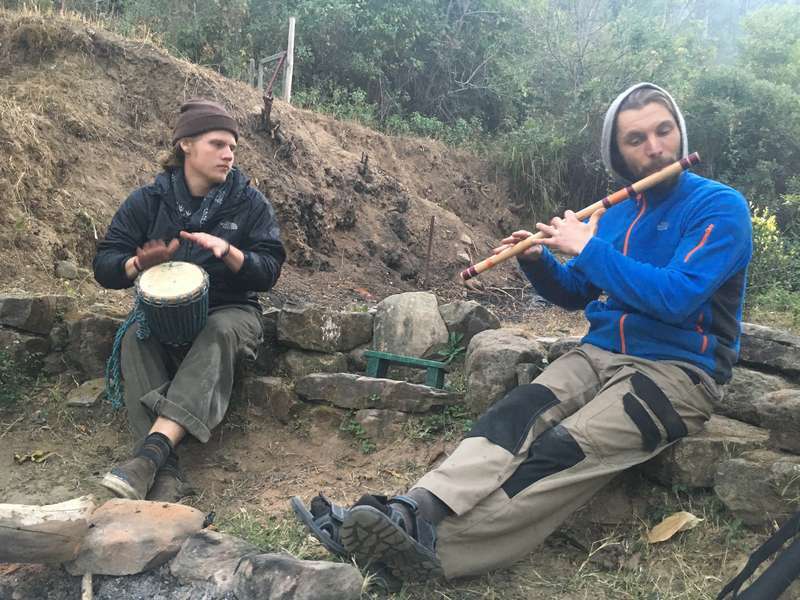 This project is truly a node in the pathway to an improved society founded upon permaculture) is the elucidation of traditional Indian philosophies and spiritual practices. Hari has a very well stocked library that he opens to all the volunteers to learn from. Additionally, Kum Kum and Hari both have a well-informed understanding of exercises that improve health, such as Pranayama and other yoga techniques. So for all those hoping to root themselves in a platform that protects mother earth directly, please, make your way to the Farm. Carmel, a young student from Canada, deserves all the compliments for meticulously planning her exact dates of arrival and departure, along with her cousin Roya. She is very methodical, hard working, full of zest, zeal and initiative. He is a budding artist, has very good knowledge of Yoga, techniques of making video and photography. She won… read more the heart of other 10 volunteers and s group of School children from Ladakh - India during her short but very impressive and collaborative stay. She has been an asset and the Farm wishes her a long healthy and purposeful life. 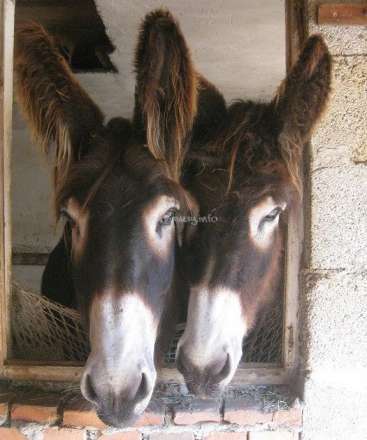 Carmel & Roya, The Farm, now belongs to both of you and we are sure not only you will come back in due course, but will associate yourself with the progress of The Farm. Carmel & Roya, baskets full of best wishes from the hearts of Kum Kum and Hari. I love thisFarm! Hari and his wife Kum Kum are some of the most compassionate and kind people I have met. Hari's vision for the farm is inspiring and the work makes you feel healthy and happy. I stayed for only 10 days but wish that I could have stayed longer! We mulched, weeded and worked on building a cob kitchen while I was there. There was… read more time for much needed hard work but there was also time to relax and enjoy the beautiful surroundings. The farm would really benefit from people with a background in carpentry and organic farming, so if that is your passion then definitely come and help! I worked hard, played hard, ate delicious food, and met some people that I will never forget. Thank you Hari! Silvia Stefani has been an asset to the Project She is very very methodical and hard working. Full of zest and initiative she is reliable to handle any eventuality confidently. We are glad that Silvia enjoyed the farm and its surroundings. She is very good at Shiatsu Massage too. Both Kum Kum and I miss her as an intimate member of our family.… read more We do hope to see her some day back in India and in the farm. Love and hugs, Silvla from Hari and Kum Kum. Great human experience above all, great warmth from this nice and kindly-open-hearted family. You'll get the chance to eat excellent vegetarian food (I've almost became vegetarian myself !!) being surrounded by amazing hills and peace, and of course learning about organic farming and indian culture. Wishing I could stay here much longer!! Stefanie from Germany stayed here from Dec 24, 2011 to Jan 10, 2012. She has been an asset to the farm. She is very very hard working and methodical. I and other volunteers learned a lot from her too. My wife Kum Kum and I will miss her and will keep doors of our home and heart always open to her. This is to correct an error in earlier write… read more up. Stefanie from Germanu stayed from 24 October 2011 to 10 Jan 2012. Kum Kum and I really, really miss her. She is a very wonderful person and an asset to any farm / orgationation. Love, hugs and eternal bliss to Stefanie, where ever you are. This farm is yours and wiii always belong to you. I've been joining this project for more then one month. I'm absolutely impressed by , the founder who put all his heart and love in the project to contribute something to future generations. Recommendable for everyone who is interested in sustainable living, organic farming, community living or just living with nature.